Plagentra products impressed me from the moment I first read about them. I liked the idea of products for both mom and baby and totally wish I would have known about these products during my pregnancy. Not only are they safe and gentle for the most delicate skin, but they help take care of common skin problems from eczema to baby acne to stretchmarks. I was thrilled to try their foaming facial wash. I was elated to learn that this perfume-free wash helps remove make-up thanks to the inclusion of fine microbeads (which also get rid of dead skin and oils). 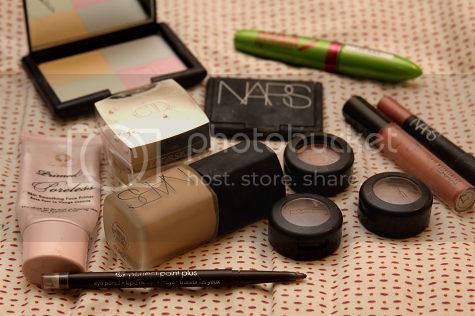 I wear a lot of make-up on a daily basis and as a new mom to a (teething!) infant, I'm totally guilty (ashamedly) of sometimes just collapsing into bed at night without making sure all of the day's make-up has been washed off my face. That is a definite issue and my skin lets me know it in the morning. I washed my face at the end of the evening with Plagentra's foaming wash. The microbeads felt great gently exfoliating my skin and the perfume-free wash lathered with even just the tiniest drop of soap and water. Once I rinsed my face, my skin not only looked squeaky clean and revived, but it felt that way. I have extremely sensitive skin and was so pleased that I didn't experience any kind of unpleasant reaction. My face felt smooth, clean and refreshed. 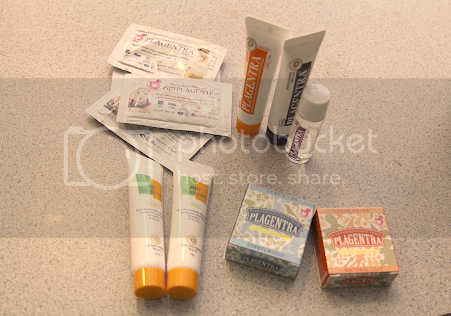 There are a few other "mom ailments" that I was glad to try Plagentra products on. Stretch marks are one of those ailments. Plagentra not only make gentle oils and creams to help a mom recover from stretchmarks, but they make a gentle stretch soap that you use while bathing that helps your skin to bounce back from carrying baby. Plagentra's baby products are just as awesome as their "mommy products." Their baby wipes are not only gentle, but made using a seven step water purification process to ensure that the wipes that touch your baby are pure and free of all toxins and contaminants. 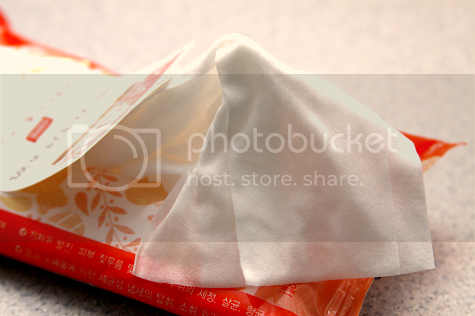 These natural wipes contain anti-microbial ingredients that kill anything from MRSA to staph. Made to treat even the most sensitive skinned babies, these wipes help treat baby acne and other common skin problems. These (fragrance free!) wipes are perfect for wiping Ethan's hands after playgroups and for wiping the milk residue from his cheeks. His little cheeks are free from baby acne and any rashes and I am so pleased with how gentle these wipes are! I'd definitely go as far to say that Plagentra's line are those luxury products that you need but haven't heard about yet. My skin feels so rejuvenated since I began using them for my review. It's so wonderful to have clear, clean skin without feeling dried out like many other washes on the market can do to you. These products are perfect for moms, moms-to-be and the little ones who we love and strive to protect from all those harsh and harmful products on the market. I love Plagentra's product line and can't wait to share them with friends and family. But the sharing process starts now with you, dear bloggers, as Plagentra has offered one of my readers the chance to win a full line of Plagentra products, a $110 value! MANDATORY ENTRY: Make sure your e-mail address is visible or included in your comment! You MUST be a follower of You Are The Roots on GFC (Google Friend Connect) to be eligible for entry! Comment and let me know that you want to enter to win! BONUS ENTRIES: *Mandatory entry must be completed for these to count! Like You Are The Roots on Facebook and leave me a comment with your name (first name, last initial) or URL so this can be verified! Like Plagentra on Facebook and leave me a comment with your name (first name, last initial) or URL so this can be verified! Leave Plagentra a Facebook wall post and let them know you've entered the giveaway at You Are The Roots! Share this giveaway on your Facebook (can be done once a day for one entry a day) and comment with the link! Vote for me on Picket Fence Blogs (look to the left to see the buttons) - counts as one entry, can be once a day. Leave me a comment to let me know you've voted! 5 Entries - Blog about this giveaway. Comment (one comment for each entry, 3 total) with a link to where I can find your blog entry. 5 Entries - Grab my button and comment (one comment for each entry, 2 total) with a link to where I can find it. Giveaway ends 11/21/11 and is open to US/CAN residents. Winner will be selected at random and notified via e-mail. Thank you for the chance - I'd love to win! I liked You Are the Roots on Facebook. I also liked Plagentra on Facebook and let them know I entered this giveaway. I want to win so I can give this to my best friend Heidi for the shower. She's having her 1st baby & is super worried about the stretch marks. Liked CA Pharm on FB. 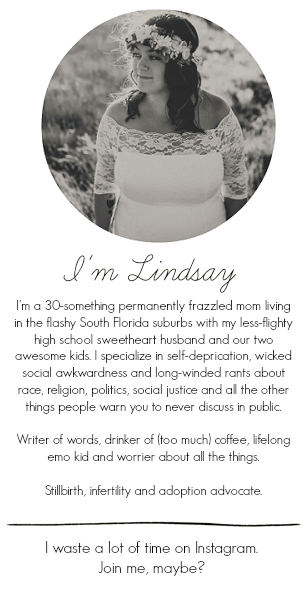 Voted for you on Picket Fence Blogs. 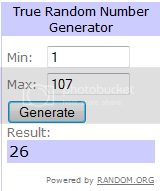 I entered your Gelmix Giveaway. I follow you on FB as Jennifer J. L.
GFC follower, I really want to win because I just found out I'm pregnant and really want to cut out as much artificial stuff as I can. I voted for you on the picket fence. Commented on Plagentra's fb page. -I would love to win these amazing products!! Voted for you on Picket Fence. I follow you on GFC. This prize looks great. I like you on facebook (Hannah Jo). I left a post on Plagentra's facebook wall about this giveaway.